Just completed my font “Circles” and its definitely been a learning experience although I absolutely love how it turned out. 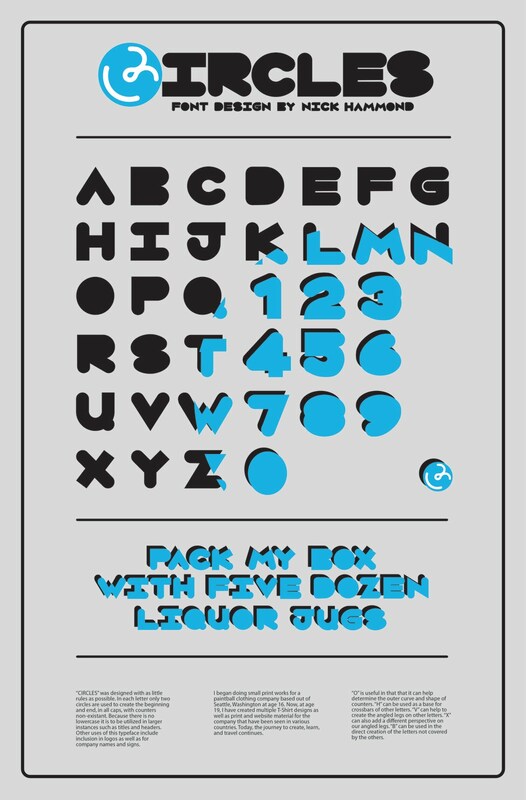 Not only is the font uploaded here as a poster but it is also available for download in a zipped truetype file which means it is compatible with both PC’s and MAC’s! You can download my font as well as use it for free in whatever projects you please! Not only this but I have submitted the font to www.1001fonts.com so once it is accepted there will be an even easier link to follow to download and preview the font. Circles font project has also now been added to my newly created Behance portfolio (follow the link below to “appreciate” on Behance). 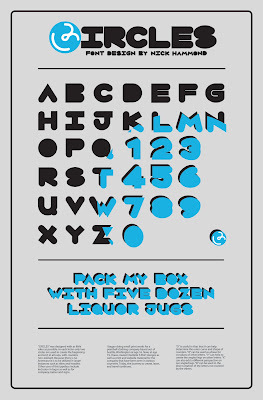 Happy font downloading and happy holidays from Nick Hammond Design!